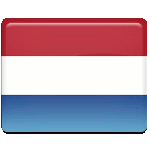 Veterans' Day is an official remembrance day in the Netherlands held on the last Saturday in June. It was established to honor all Dutch veterans who served in wars or international peacekeeping operations. The date was selected to pay homage to the late Prince Bernhard who was the husband of Queen Juliana of the Netherlands. Prince Bernhard was a war veteran himself. During World War II, he was a combat pilot. He also served as a liaison officer, helped organize Dutch resistance and participated in the negotiating the terms of surrender of the Nazis in the Netherlands. Despite being born in Germany, Prince Bernhard remained loyal to the Dutch people and to the Allies. He even avoided speaking German during the Armistice negotiations. Most of the Dutch considered him a genuine war hero, that is why Veterans' Day is celebrated on the Saturday closest to his birthday, June 29. The largest Veterans' Day celebration takes place in the Hague. Although this day focuses on acknowledging the country's servicemen, the celebration features many exciting activities, such as a huge military parade and a flyby. The parade involves ex- and current servicemen, marching bands, modern and historical military equipment.